If Pyongyang moves ahead with another nuclear test, it would indicate that the communist nation is looking to receive nuclear status to preserve its security, says the head of the Korean Studies Center at the Russian Academy of Sciences Institute. ­Pyongyang’s ultimate goal is to exert pressure on the United States and other countries to receive a nuclear status similar to that of India, which “exempted the Indian military nuclear program from IAEA control and the Nuclear Non-Proliferation Treaty,” Alexander Zhebin noted. In 2006, Washington declared its readiness to cooperate in the civilian sector of India’s nuclear program, the expert added, despite the fact that India, which conducted its first nuclear test on May 18, 1974, is not a signatory to the nuclear Non-Proliferation Treaty (NPT). Pyongyang, according to Zhebin, wants equal treatment as India, which, like North Korea, is not formally recognised as a nuclear weapon state, yet, unlike North Korea, is able to purchase reactors, fuel and technology on the international market. Although the government of North Korean leader Kim Jong-un understands that talks with Washington are a distant prospect, Pyongyang is risking short-term economic hardship and greater international isolation in the hope of gaining long-term advantages. Now, Washington is confronted by a nuclear-armed nation that is increasingly capable of defending its totalitarian regime. "Obama's immediate agreement to hold direct negotiations with North Korea, especially on equal terms, would look like an act of capitulation,” Zhebin emphasized. “Clearly, he will not do that now." North Korea sent shockwaves around the world last week when it conducted an underground nuclear test, which the US Geological Survey registered as a “5.1 magnitude earthquake.” The blast was more powerful than the previous two tests conducted by DPRK in 2006 and 2009. Apparently unfazed by the global condemnation following the latest test, North Korea has started preparations for another nuclear test, South Korea media reported. Pyongyang is gambling that its behavior will win it equal status among the nuclear powers, thus prompting ‘normal’ relations. In such a scenario, North Korea’s tactics will work, he added. Meanwhile, there were technical questions concerning the existence of another nuclear device. It will be easier to detonate it, Zhebin said. 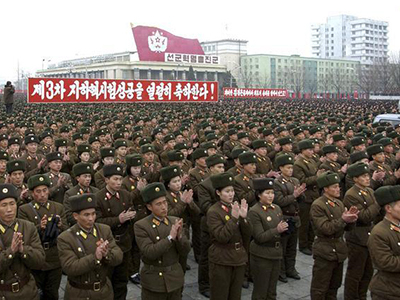 Any new nuclear test would be “significant” for Pyongyang, the expert said. In the event that a new, more powerful missile delivery system is tested, in addition to the nuclear warheads, the North Koreans will acquire deterrence forces which, in their opinion, can guarantee “national sovereignty and preservation of the current regime,” the expert said. Preparations for yet another test obviously sent a message to Washington. Eight countries have successfully tested nuclear weapons. Five are the group as signatories to the Nuclear Non-Proliferation treaty (NPT): Russia, the United States, France, the United Kingdom and China. The remaining three, India, Pakistan and North Korea, have tested nuclear weapons but are not parties to the Treaty. Although an international sanctions regime has been imposed on North Korea, home to some 25 million people, it has been able to absorb the full brunt of economic isolation by maintaining some limited trade with China. 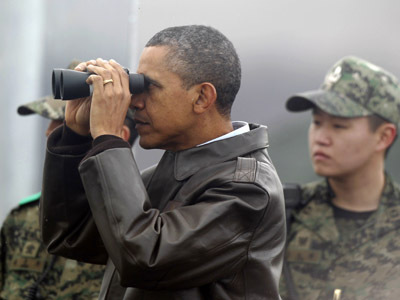 North Korean nukes: Testing Washington’s resolve?